Obrigado Vinhos Portugal is a New York-based importer 100% focused on Portuguese wines. The meaning of Obrigado is “thank you” in Portuguese. Founded in 2010, the company's sole original mission was to import just one wine: Vera Vinho Verde. 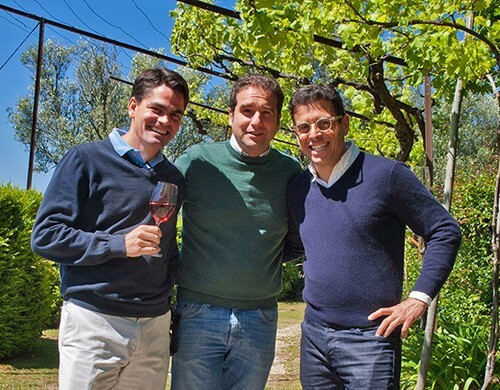 Because of the growing demand for Portuguese wines in the US, today Obrigado represents many Portuguese wine families. All the wines imported by Obrigado have three things in common: quality, authenticity and value. Obrigado aims to continue building a quality collection of wines that honors the places, grapes and people of Portugal...and to vividly express this reality in the US. Obrigado was initially founded by Rui Abecassis and Bruce Schneider in 2010. In 2013, Bruce sold his interest to Alberto Orte and Patrick Mata, who are now Rui’s sole partners at Obrigado.